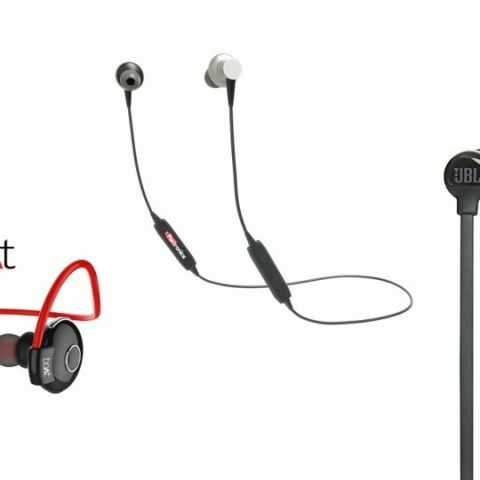 For today’s deals roundup, we bring you some of the best deals on Bluetooth headphones on Paytm Mall for under Rs 2000 including the cashback. If you are thinking about buying a new Bluetooth headphone, you’ve come to the right place. We’ve found out deals on Paytm Mall from brands like JBL, boAt, Crossbeats and more. The boAt rockerz 210 is a water-resistant in-ear headphone, which allows you to enjoy music even during your workout when you are all sweaty. The company claims that it can deliver eight hours of audio playback with two hours of charging time. The earphones can also be connected to up to two devices simultaneously. You can purchase this device here. The Portronics Harmonics 204 comes with a magnetic latch to prevent accidental falls. It also has a neckband that holds the earbuds together. The device is equipped with an inline remote to manage calls and tracks. According to the company, it can provide five hours of playback on a single charge. You can purchase this device here. The boAt Rockerz 510 is for those who prefer over-the-ear headphones. The company claims that the headphone can deliver eight hours of playback with three hours of charging time. They even went ahead and said that 15 mins of charging can give one to two hours of continuous listening. The device is available in two colors, red and blue. You can purchase this device here. The Crossbeats Neo is a sweatproof in-ear earphone that lets you listen to music while jogging or during your workout. It comes with aptX and Bluetooth 4.0 technology that allows you to enjoy your music up to ten meters of a distance from your device. The controls are placed on the earbuds for adjusting volume and changing the tracks. You can purchase this device here. The JBL T110 comes with a three-button inline remote that lets you answer and reject calls conveniently. According to the company, the headphones can provide six hours of listening with two hours of charge time. It also has a magnetic latch that ensures safety when the earbuds are not in use. You can purchase this device here.